Our boat trips are a great option and we highly recommended them to all surfers and fisherman who wish to take full advantage of their experience in Nicaragua. We have access to a fleet of surfing and fishing boats at our disposal. A boat will pick you up in front of your home or Condo off the beach at Playa Colorado or we will drop you off in the quaint fishing village of Gigante. Upon arrival in Gigante you can step right on the boat and your adventure begins. At the end of your trip we will pick you up in Gigante. The drive is approximately 15 minutes. 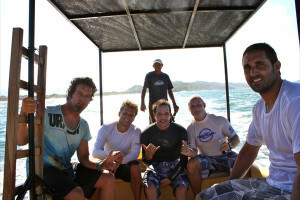 If you wish we can also provide you with a trip of both surfing and fishing. 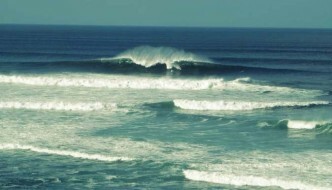 You have the option to troll on your way to one of the favorite surf breaks or head to the outer waters for a half day of fishing and return inshore to catch some barrels to finish the day off. 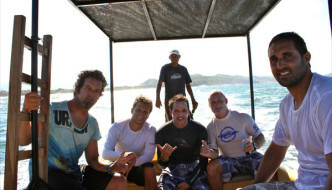 All of our fishing/surfing trips we include bottled water. 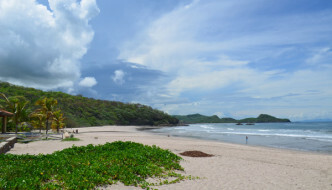 The views of the Southern Nicaraguan coast are amazing. Most of the land surrounding Playa Colorado is untouched and only accessible by boat. The rates of these tours run anywhere from $100 to $300 depending on where you are surfing or fishing and the type of boat you choose. We have Super Pangas with 2 stroke motors or Center Consul Super Pangas with 4 stroke motors. All of these boats are equipped with top of the line fishing gear. We will load you into a Center Consul Super Panga 4 stroke with very experienced fishing captains for a day of great fishing, fish for Marlin, Sailfish, Tuna, Wahoo, Dorado, Pargo and many other species of fish in this wide open fishing sanctuary of the pacific coast of Nicaragua. All boats are equipped with the best fishing gear and lures. And equipped with life vests, open ocean first aid kits, Penn and Shimano Reels, Garmin GPS and Sonar, Tag and Release equipment from the Bill Fish Foundation. We will clean and fillet any fish you decide to take home, just show up and we will put you on as many fish as possible.